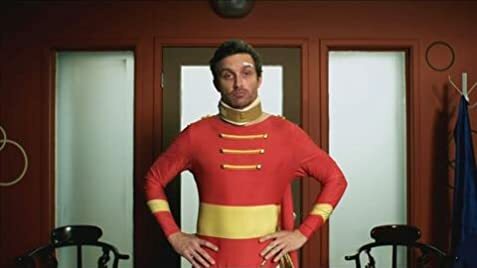 Anyone who has seen Rob Benedict perform knows that he has a skill for portraying characters who are down on their luck that are easy to root for, but I was delighted to find that he could skillfully write them just as effectively. He also shows a talent for writing something that is instantly entertaining, but where other comedic films could be very forgettable after viewing, this one lingers in your brain. Max, the titular sidekick is an impressive balance of ineptitude and skill, bravado and vulnerability, and is very, very funny to watch. All the actors involved in the film are to be commended for the immensely human quality that they bring to heightened reality that they occupy and the chemistry that they use to show us the relationships within the short period of time that we have with the characters. If you see this playing in a festival near you, you must do yourself a favor and improve your day by watching it. And then see if you can watch it again. It appears simple enough at first glance, but you will enjoy the subtleties it uses throughout and how it chooses to show rather than tell us about these endlessly quotable characters. I'm trying to think of a more clever way to say that it was the highlight of the short films I saw recently, but I'm not as good with catchphrases as Max McCabe. Just try to watch it. Film also stares two members of Rob Benedict's band Louden Swain, Stephen Norton and Michael Borja, as heroes in the queue for the club.